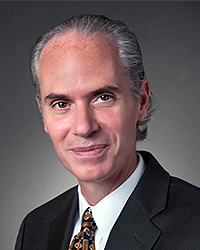 Dr. Robert Bulow specializes in cardiology with an emphasis in interventional and electrophysiology cardiology. He received an undergraduate degree from the University of Illinois and a medical degree from the Chicago College of Osteopathic Medicine. Dr. Bulow completed his internship, residency, and fellowship in cardiology with the Chicago Osteopathic Hospitals and Medical Centers. Dr. Bulow is board certified in Internal Medicine, Interventional Cardiology, Cardiology, and Cardiac Electrophysiology from the American Osteopathic Board of Internal Medicine. He is also certified in Nuclear Cardiology by the Certification Board of Nuclear Cardiology. Currently, Dr. Bulow serves as the program director of cardiology fellowship program with Ohio University, College of Osteopathic Medicine.